When you hear the words “tire recall,” your mind likely goes to the major recalls that took place in 2000. These recalls were of Firestone tires on Ford vehicles including Ford Explorers and Mercury Mountaineers. The problems were occurring due to the tread of the tires peeling off in a process called tread separation. Once the tread peeled off, the tire began to disintegrate. When the vehicle was going at full speed with the failing tires, there was a significant risk of the vehicle rolling over. Several hundred deaths and injuries resulted from these roll-over accidents and a widespread and famous tire recall occurred that was widely reported. While the Ford and Firestone tire recall was perhaps the most famous and well-known tire recall in recent years, the fact remains that there are also other dangerous tires out there. Our Boston defective tire attorneys have a list of a few other tire recalls that occurred during 2012 as well as some tips for staying safe and making sure you aren’t driving on defective tires. In July of 2012, CBS 6 reported that Michelin North America had instituted a voluntary recall of 841,000 BFGoodrich and Uniroyal Tires. 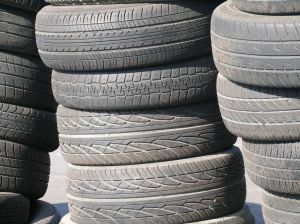 The affected tires were produced between April 2010 and July 2012 and were mainly found on full-sized heavy duty vans and light commercial trucks. Some drivers, however, might have bought the tires and used them on their personal cars. The tires were being recalled due to a potential tread-belt separation issue. No injuries had been reported at the time of the recall, although there is an increased injury risk. In October of 2012, Consumer Reports indicated that Yokohama Tire was recalling almost 11,000 of its Avid Touring S Vehicle tires. The recall was apparently necessary because improper geometry created production flaws. The consequences of the flaws could include cracks in the sidewalls of the tires or a sudden decrease in air pressure in the tires, causing the risk of a crash to increase. Again, no injuries were reported at the time of the recall. The recall was limited to only one size of all season tires. These recalls demonstrate that tire dangers are still present and that drivers of cars, trucks, motorcycles and other vehicles all could potentially be at risk. Since many tire recalls are not as well publicized as the Ford and Firestone tire disaster, it is important for every driver to stay aware about potential recalls that could affect him. Recalls.gov provides you with online resources where you can find out about any recalls related to consumer products and motor vehicles. Checking their website routinely can be a smart way to make sure you do not miss any news about tire defects. If you do receive something from the manufacturer of your car or tires, then it is a good idea to open the correspondence immediately to make sure it is not a recall notice. By keeping tabs on what tires are recalled, you can help to ensure that you and your loved ones avoid accidents due to tire defects. If you or a loved one has been injured by defective tires in the Greater Boston area, contact the Law Offices of Jeffrey S. Glassman, LLC for a free consultation to discuss your claim. Call 1-877-617-5333.